Last week the Toronto Sun reported on two women from Montreal who apparently left to join Daesh (ISIS) in November. While these are not the first Canadians who have travelled for this purpose, this definitely points to an emerging trend in that the individuals were female. What draws women to join one of the most notorious terrorist organizations on the face of the planet? Perhaps we think that women (in some cases teenage women) are less susceptible to recruitment or radicalization. Realistically, though, that simply isn’t the case and Canadian women are, more and more, coming up on the radar as engaging with and travelling to support ISIS. Case in point, iBRABO began monitoring a female, whom we'll call L.A., shortly after publishing our story on the New Zealand jihadist, Mark Taylor. Based on his tweets about his experiences in the “Islamic State,” we were able to track him through Syria through his twitter geo-location. 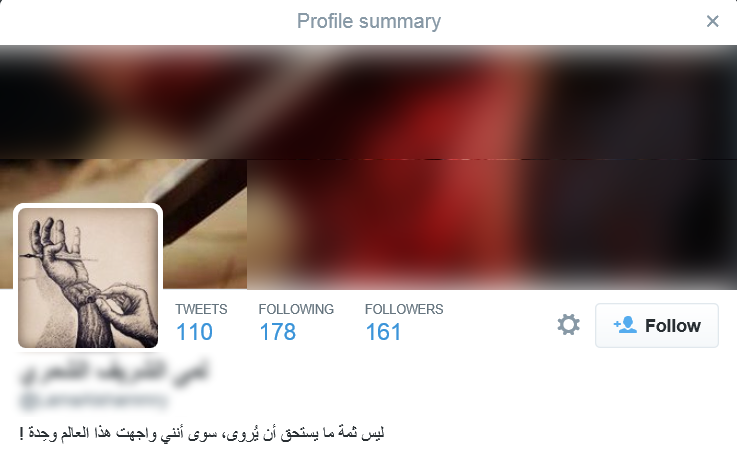 One of the benefits of tracking terrorists through geocoded tweets is they are like a virtual trail of breadcrumbs. While surveilling ISIS strongholds in Syria and Iraq, our analysts observed another social media account of a Western ISIS supporter that concerned us. 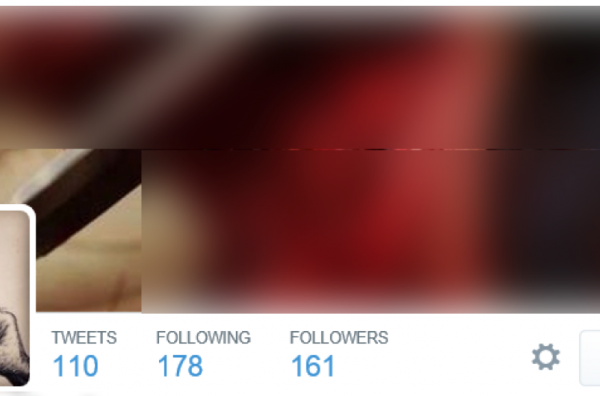 In this case, the twitter trail that we were able to follow led us directly back to a female account in Toronto. L.A. had been actively moving about throughout Toronto and broadcasting her location up until the 23rd of November 2014. At that point she disappears and isn’t seen again until her Android phone starts broadcasting on the 8th of December from Ar Raqqah, Syria (below). Ar Raqqah is one of the major stronghold cities for ISIS and for that reason is intensely monitored by several organizations. So how is it that a Canadian woman ends up in the heart of what ISIS calls the “Islamic State”? Some of the answers for this lie in her Twitter page (vetted below). L.A.’s Twitter background image is a picture of an ISIS beheading from al-Furqan Media Foundation from the Video Althought the Unbelievers Dislike It. To see the full video refer to the conclusion. 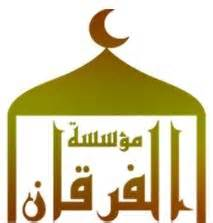 The image was identified through the Al-Furqan media icon in the upper left corner of the image (below). Image: Al-Furqan Media Foundation logo. While viewing propaganda imagery in and of itself doesn’t mean a person has radicalized (we have watched more than our fair share), we have found that individuals who then go on to rebroadcast or adopt those images as their own in social media are posting a potential red flag. Another predictor relates to peer influence, and in that regard social media has changed the traditional need for direct peer interaction. Looking at the peer network L.A. has built on her twitter account, there are several dozen ISIS fighters and supporters she follows and engages with. This past week several of those members were suspended in a mass cull by Twitter, who was looking to eliminate some of the thousands of ISIS accounts on its platform. L.A. then travels to the ISIS controlled city of Mosul in Iraq on the 9th of January 2015 before continuing on to Aleppo where she stayed from January 11-16 (Below). While in Aleppo she spends all of her time in territory controlled by ISIS’s enemies including: Regime opposition and YPG controlled areas. Given her previous trip to Mosul and her attendance directly in Aleppo, a reasonable inference would be that L.A. may have again been facilitating surveillance for ISIS during her time in Aleppo. Previous reports have discussed the use of the al-Khansa Brigade, “an ISIS unit – predominantly foreign – of women who handle security and intelligence in Raqqah“. This unit is also trained on and regularly carries AK-47’s. ISIS has had its eye on Aleppo since its push into Syria and the timing of L.A.’s visit would be consistent with reports of ISIS’s advances on the city and attacks on Jabhat al-Nusra (JN).